These universal stroller hooks fit over the handles of most strollers and buggies, making them Ideal for carrying shopping bags, changing bags, water bottles and more. Very useful for pushchairs, cots and car seats. Holds up to 10kg. Do not exceed a weight of 3kg if it is fitted into the pushchair handle to avoid the risk of overturning. 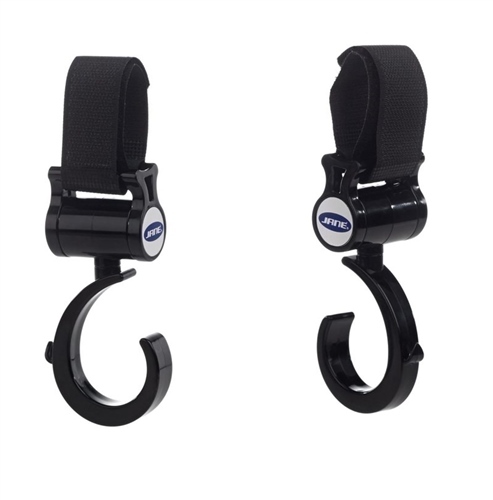 Velcro strap attachment system means they are easy to adjusts and attach onto various handles. On car seats, pushchairs and cots.